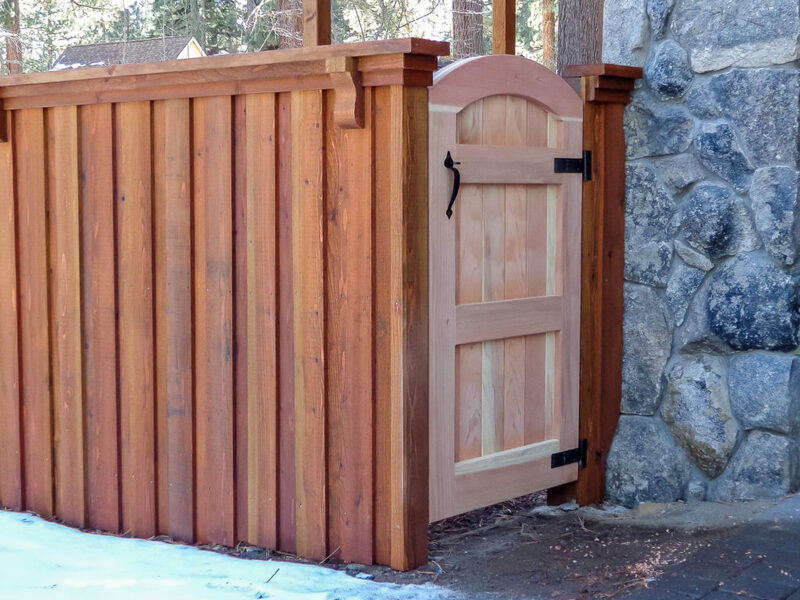 We have been building fences of all shapes and sizes in Northern California for decades. Over the years, there have been a lot of changes in the industry, from materials to styles. 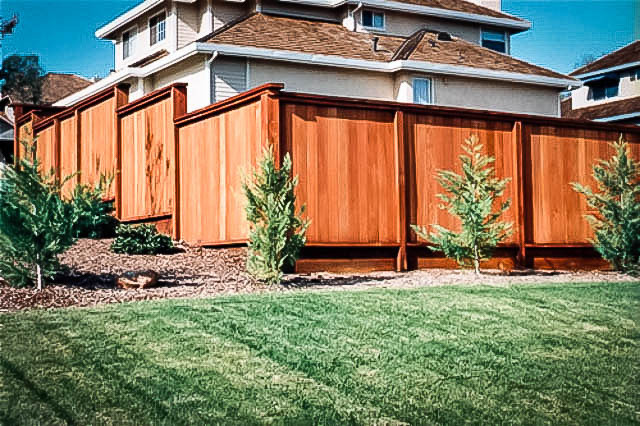 Home owners looking to build or update an existing fence have so many options. Fences serve may functions and add curb appeal and value to your home. Fences provide safety for children and pets, security for your home and family and much needed privacy. The materials used in modern fence building remains primarily wood post with wood frames and slats due to the duribility and cost effectiveness. The styles vary, making finding the right look for your home a breeze. Add a custom garden door to add a unique finishing touch that is sure to get noticed. Redwood board on board fence with custom garden door.